"Bose QuietComfort 25 Noise Cancelling Headset for Samsung/Android devices, Black"
Skullcandy Hesh 2 Bluetooth Wireless Headphones. Hesh 2 Wireless. Note: Open box item. Tested ready to go. May show signs of use. Check photos carefully. Back up AUX cable with microphone & remote. URBEATS BY DR. DRE COMES WITH EXTRA EARBUDS AND POUCH !!!!! Monster UrBeats by dr. dre In-ear Headphones - White/Red The UrBeats by Dr. Dre are a stylish pair of in-ear headphones that have been built to last. The driver design of the UrBeats will pump out deep bass, soaring highs, and crystal clear mid-range, delivering big sound out of a small package. This Beats by Dr. Dre earphones can offer you the most pure sound. Designed with advanced construction, the elegant earphone can provide maximum sound isolation and its pro strain relief, rugged construction, micro-strand conductors is also with advanced design. Monster UrBeats by Dr. Dre In-ear Headphones - Black/Red. HTC Dr. Dre UrBeats earphones headset. Designed with advanced construction, the elegant earphone can provide maximum sound isolation and its pro strain relief, rugged construction, micro-strand conductors is also with advanced design. Beats sound with Class 1 Bluetooth® wireless listening freedom. The more gentle and careful you are then the longer the product will last. UrBEATS 2 In-Ear Headphones Rose Gold. The tangle-free cable with built-in-mic will help you effortlessly switch between music and calls so that you can enjoy premium, uninterrupted sound. Genuine UrBeats wired earbuds GOLD. Skullcandy Crusher Wireless Bluetooth Headphones. BLACK. SKULLCANDY WIRELESS BLUETOOTH HEADPHONES. Headphones are tested. SEE: green indicator light. 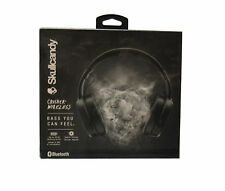 5 out of 5 stars - Skullcandy Crusher Wireless Bluetooth Headphones. BLACK. 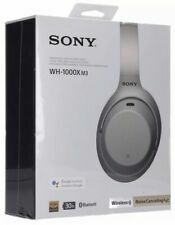 128 product ratings128 product ratings - Skullcandy Crusher Wireless Bluetooth Headphones. BLACK. Original UrBeats Black Pouch Condition · These headphones are in brand new condition. What is Included · 1 Pair of HTC Monster * Beats in Ear Earbuds. · 1 Beats By Dr. Dre Carrying Case. · 1 Set of Removeable Eartips. Product Features · Extra 6 sets of different size ear tips in Black finish. · These in-ear headphones incorporate driver pumps that produce a balanced sound output. · Supplied with NO retail box, Ships with Original UrBeats Black Pouch Pictured. · Built in Mic for calls, The inline remote or mic may have limited functionality with Apple devices (No volume control). With a strong sense of fidelity, the deep, base sounds are clear and have great impact. The mid range tones are optimally even and tempered and not overshadowed by the surrounding sounds. The high resolution is never piercing and uncomfortable but rather greatly enhance the musical experience. Enjoy your music with amazing sound perfectly adjusted to you. PRODUCT OVERVIEW. y appreciate your time and business. Happy shopping! Monster Beats By Dr. Dre HTC in Ear Earbuds Product Details Condition · These headphones are in brand new condition. What is Included · 1 Pair of HTC Monster * Beats in Ear Earbuds. · 1 Beats By Dr. Dre Carrying Case. · 1 Set of Removeable Eartips. Product Features · Extra 6 sets of different size ear tips in Black finish. · These in-ear headphones incorporate driver pumps that produce a balanced sound output. · Supplied with NO retail box, Ships with Original UrBeats Black Pouch Pictured. · Built in Mic for calls, The inline remote or mic may have limited functionality with Apple devices (No volume control). Powerbeats2 WIRED by Apple. White/Silver color. Actual pictured item. Tested & in perfect working orders. Easily adjustable and flexible earhooks. Trending at $40.66eBay determines this price through a machine learned model of the product's sale prices within the last 90 days. Here is great chance to grab a100% GENUINE & NEW (Never Used) Skullcandy Strum Best Fit Ever Earbuds. Skullcandy carrying case. Key Chains & Rings. OUR PROMISE. 7 Sprays Grohe Handheld Shower Head. Flexible, angled, oval and hook-shaped design for most comfortable fit. RHA MA390 Universal Earbuds: Aluminium in-Ear Headphones with Mic & Remote for &. Only tried two times. Trending at $31.43eBay determines this price through a machine learned model of the product's sale prices within the last 90 days. Headphone noise canceling set minimizes distractions & noises for crisp listening. Get the most out of every workout with the truly wireless WF-SP700N headphones. Noise-Canceling technology minimizes distractions to keep you focused, while Ambient Sound Mode lets you enjoy your music and still hear your surroundings.